Helping animals, having fun! 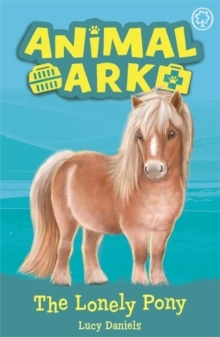 The bestselling Animal Ark series has been reimagined for a new generation of children. Perfect for animal lovers and fans of Holly Webb and Magic Animal Friends. When Amelia and Sam start taking riding lessons, they meet a homeless rescue pony named Ginger and a big horse named Walnut who keeps throwing off his riders. The only thing that seems to calm Walnut down is the gentle Shetland Pony. Can Amelia and Sam find a way for the pony pals to stay together?A brilliant animal series from multi-million-selling author Lucy Daniels, loved by parents and children alike! "I remember reading these books as a child myself. Now buying them for my own daughter. . . Delightful stories!" "I love this series of books. They made me realise how special animals are! "A brilliant animal series from multi-million selling author Lucy Daniels.